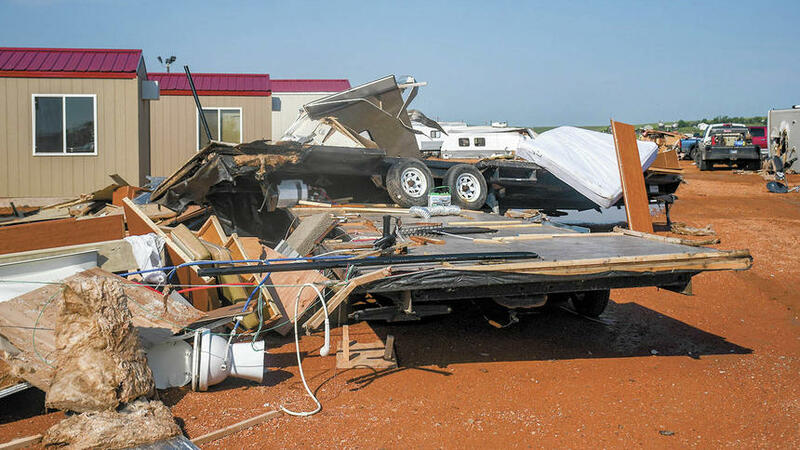 A tornado caused widespread destruction as it swept through a North Dakota RV park in Watford City. 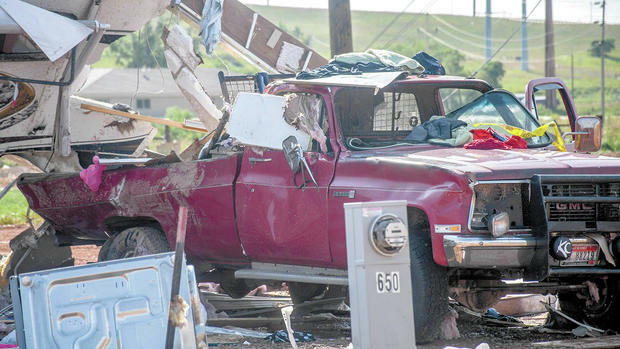 The EF-2 tornado, packing winds up to 127 mph, ripped through the recreational vehicle park overnight Monday, destroying or damaging hundreds of structures, killing an newborn and injuring dozens, some critically. 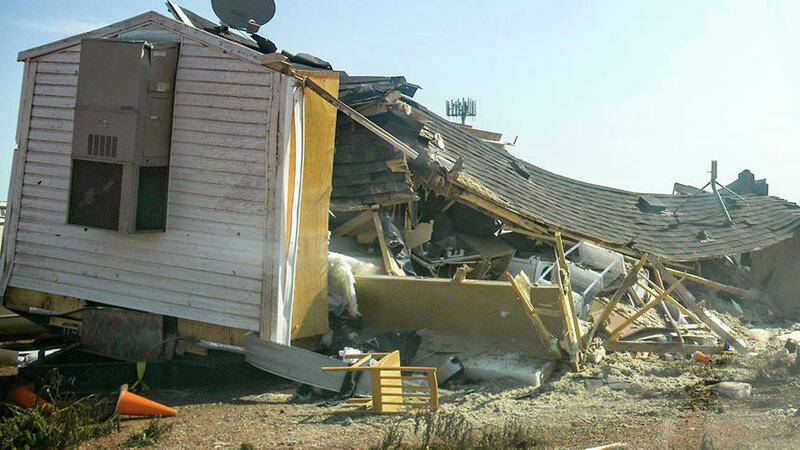 Damage includes 122 structures “completely destroyed” and 199 others sustaining some form of damage. According to officials there are 28 people injured. Nine of them are in a critical state. One of those injured was a 7-day-old infant boy, who later died from injuries, after being transferred to a hospital with advanced life support services. 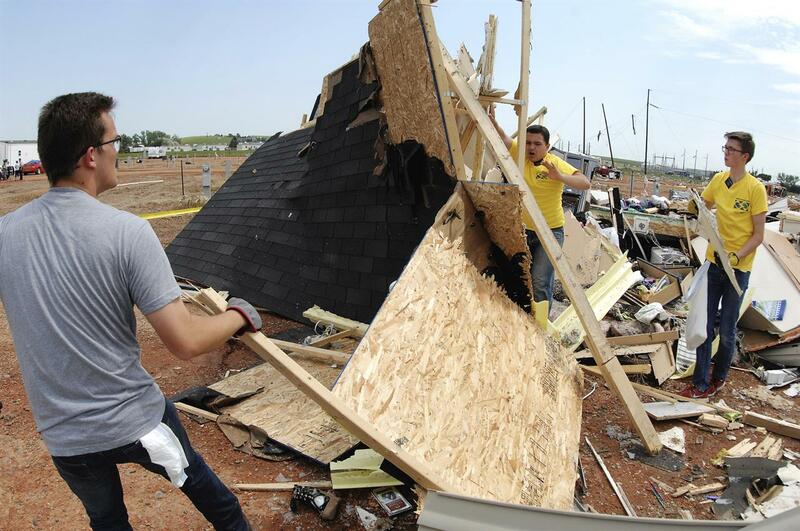 Residents of Prairie View described being sent airborne in their homes by the tornado. 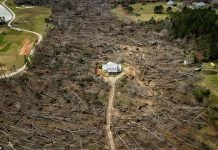 The boy’s death is only the fourth tornado-related death in the United States so far in 2018 and the first since April 13th. 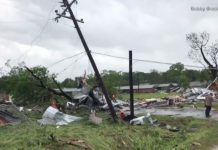 There were no tornado-related fatalities in May and June, the two most active and notorious months for tornadoes in the U.S. 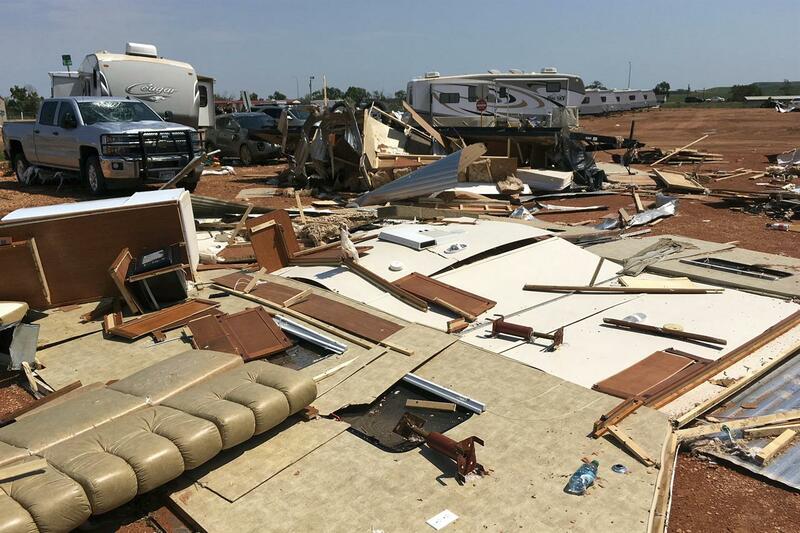 The tornado struck in the overnight hours, and manufactured homes and RV trailers didn’t stand a chance against wind estimated up to 127 mph from the EF2 tornado. Prairie View was “an oversized RV park on steroids,” a byproduct of the need for housing due to the shale oil boom in North Dakota and Watford City. 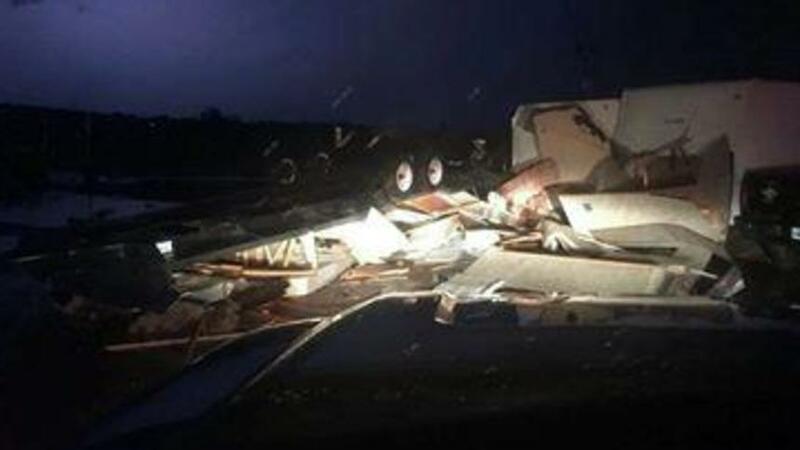 “My dog was with me and the next thing you knew the storm picked up my camper and slammed it on the ground. 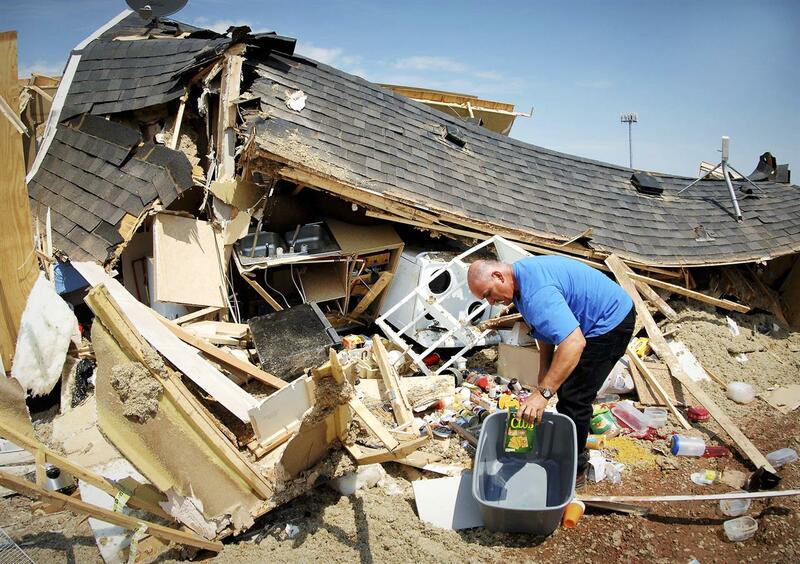 It felt like we were weightless,” resident Clifford Bowen said. 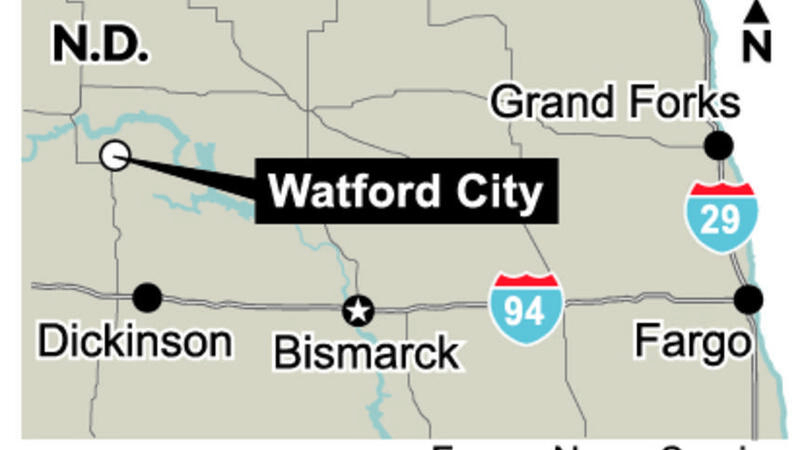 Location of Watford City in North Dakota. 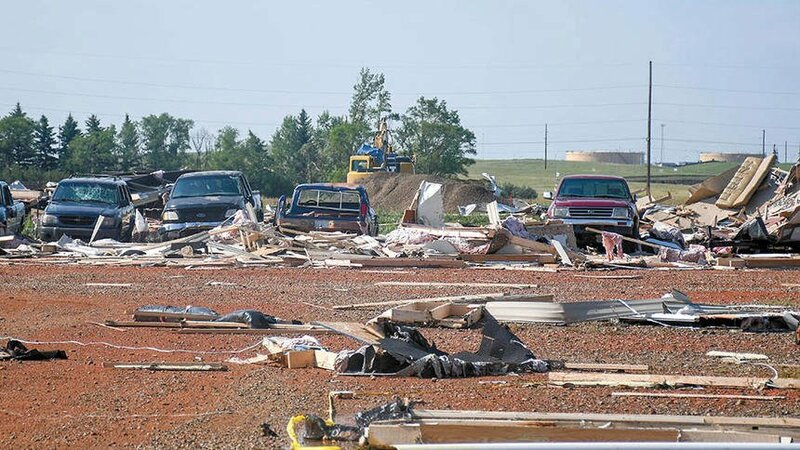 Our thoughts and prayers are with those injured and displaced by this tornado. Look at the intact trailers next to the completely demolished trailer. Galactic Federation of Light knows which trailers should be destroyed and which ones should be spared. They do not destroy good people’s houses. Good people are protected by God. But bad people (or reptilians) with heavy karma is not protected at all. Those people might be perished soon, and their spirits are going to be transferred to a prison planet where they are rehabilitated. A new born baby died? I doubt it. Reptilian agency including TV stations releases almost always A LIE! Until you see the dead body of the baby with your eyes, it is more likely A LIE. We are bombarded by the Illusions called Matrix. They want your sympathy by lying. All news are created in their office, and scripted. All the interviews are also scripted. Look at the interviewee’s eye movement. Most of the time, their eyes’ are fixed to somewhere (where is a script to read) rather than the interviewer. Flood with so many cars floating. This kind of scene has become everyday life, a new normal on the Earth. The thunderbolt in Ouray, Colorado at 3:50 is an obvious attack with Direct Energy Weapon. In Colorado, there are many reptilians with many kinds of weapons as local militias. Their hobby is shooting guns. This is not a thunder. This is an attack! Even noise sounds more like a bombardment rather than a thunder. 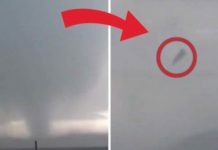 I’ve heard this kind of thunder attack (Direct Energy Weapons of Galactic Federation of Light) a lot in Alabama last year. Wildfire in Alabama? It is rare to see a wildfire in Alabama because this area has enough rain, not a dry place like California. Some lady told me there was a wildfire in Denton, Alabama right on Gulf of Mexico. Even she feel strange about that wildfire. Short Creek, Alabama is located east of Birmingham. There are so many fracking sites. There are also some quarries (Reptilian secret underground base entrances), and a collection center. No wonder this area is burnt. If you see the image of Crusher, do you think this is Crusher for Ore, or this is Human Crusher to squeeze human blood? It designed that some kind of liquid is coming out from there (Crushed ore is solid, not liquid). This area is located in old Vulcan quarry (Reptilian secret underground construction site and entrance) trails. When I saw this, I know this is the human sacrifice ritual place. As you know, reptilians need human blood to drink in order to keep their human figure. In the middle age, vampires (=reptilians) created scary machines such as Iron Maiden to squeeze human blood. On the beginning of this video, starting at 0:11, you can see an orb kind of UFO down and up just above the erupting volcano. Flash Flood in Zion National Park. Some of roads and trails are closed. Epic Zion Flash Flood! July 11th, 2018.